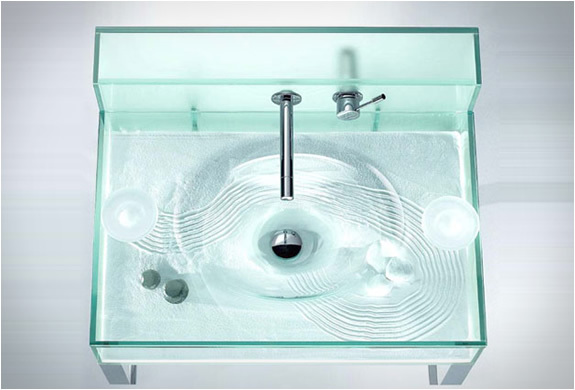 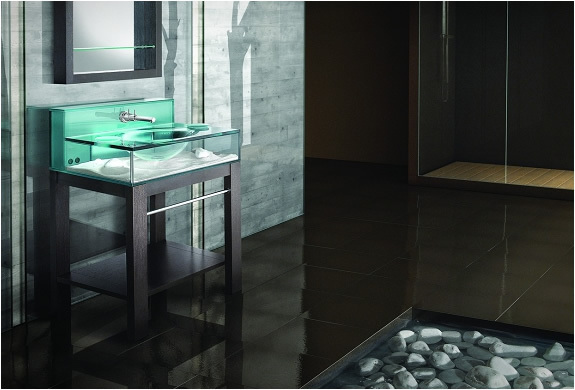 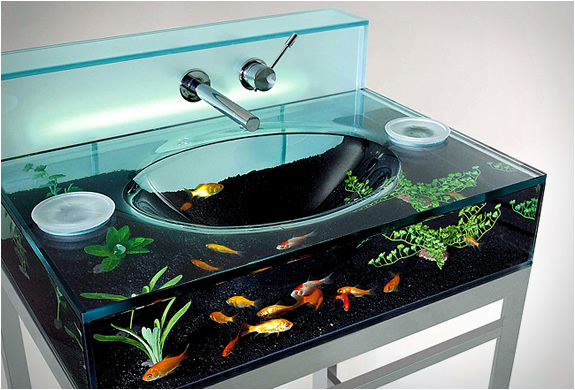 Moody Aquarium Sink by Italbrass is unusual, for sure, but adds a eccentric touch for those who appreciate a unique design. 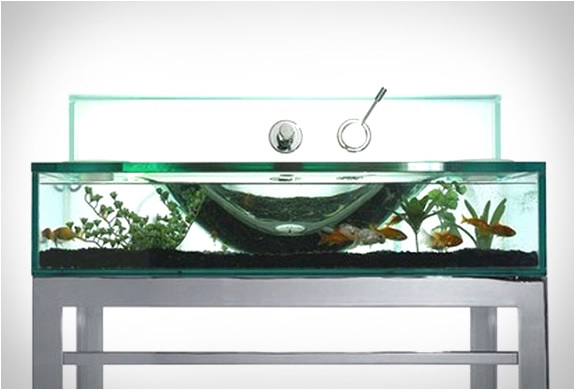 The Aquarium Sink has a removable top, which facilitates cleaning and two circular entries for fish feeding. 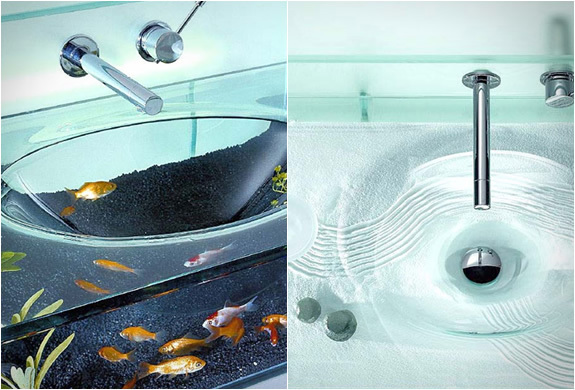 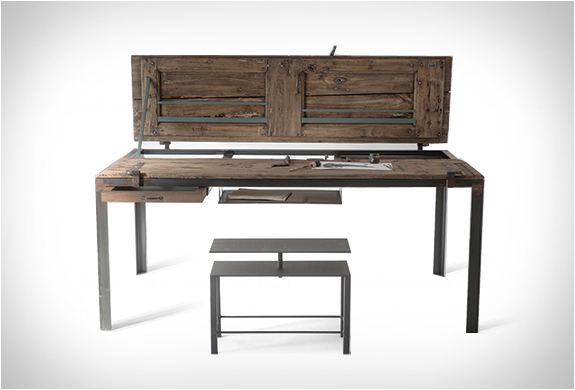 It features a large sink light and an engine is included for filtration, water circulation and oxygenation.